In the 1800s southern and central European hunters often pursued game only for a trophy, usually the head or pelt of an animal, to be displayed as a sign of prowess. The rest of the animal was often wasted. In contrast, in relatively scarcely populated northern Europe, hunting has remained the tradition of the common people, and still serves a purpose as a means of acquiring meat, although the standard of living does not require it. Eating game is generally considered a healthier and more ethical alternative to the exploitation of farmed animals. In the Nordic countries, hunting for trophies was, and still is, frowned upon, but an impressive trophy is considered a bonus. This is perhaps the most common practice of modern hunters worldwide. Trophy hunting is the most controversial aspect of hunting for opponents of hunting, who argue that modern economics or vegetarianism should eliminate the need for most killing of animals, if not animal domestication entirely. They see such killing as an issue of morality, citing British fox hunting as an especially inhumane "blood sport." Hunting in North America in the 1800s was done primarily as a way to supplement food supplies. 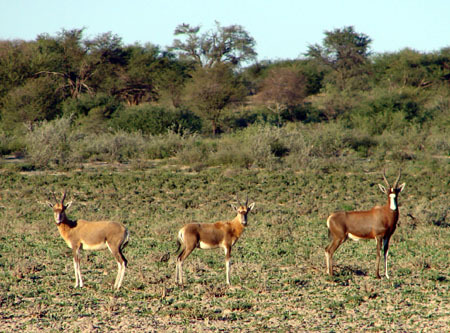 The safari method of hunting was a development of sport hunting that saw elaborate travel in Africa, India and other places in pursuit of trophies. In modern times, trophy hunting persists, but is frowned upon by some when it involves rare or endangered species of animal. Other people also object to trophy hunting in general because it is seen as a senseless act of killing another living thing for recreation, rather than food. Advocates of trophy hunting disagree. They note that modern regulations explicitly address issues of unnecessary harassment and that the vast majority of the edible portions of the animal are consumed by the hunters themselves or given to local inhabitants. This along with fees paid to hunt contribute to the local economy and provide value to animals that would otherwise be seen as competition for grazing, livestock, and crops. Hunting can be an important tool for wildlife management. Hunting gives resource managers a valuable tool to control populations of some species that might otherwise exceed the carrying capacity of their habitat and threaten the well-being of other wildlife species, and in some instances, that of human health and safety. Hunting reduces the annual crop of new animals and birds to allow the remaining animals sufficient feed and shelter to survive. Some environmentalists assert that introducing appropriate predator animals would achieve the same benefit with more efficiency and less environmental impact, but some livestock owners disagree, seeing human killing as more explicitly selective. I promise to use it only to send you Kalahari Hunting News. This will kill other mammals. Why isnt the gemsbok killed by it? 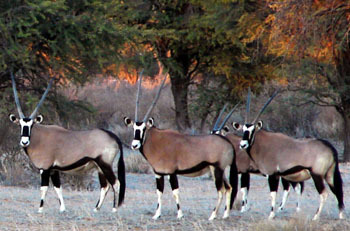 Read more about the Gemsbok.